I guess there was a time when different nationalities around the world barely interacted and didn’t know much about each other’s cultures – but those days are long gone now. I think many travellers who are headed to a destination where the culture is different from their own will do a fair bit of research or reading about that in advance these days, and that’s just as it should be, I think. In this episode of The Thoughtful Travel Podcast I talk to three travellers about some interest cultural differences and similarities they’ve found across their travels. I could talk about this stuff all day – it is endlessly fascinating to me. 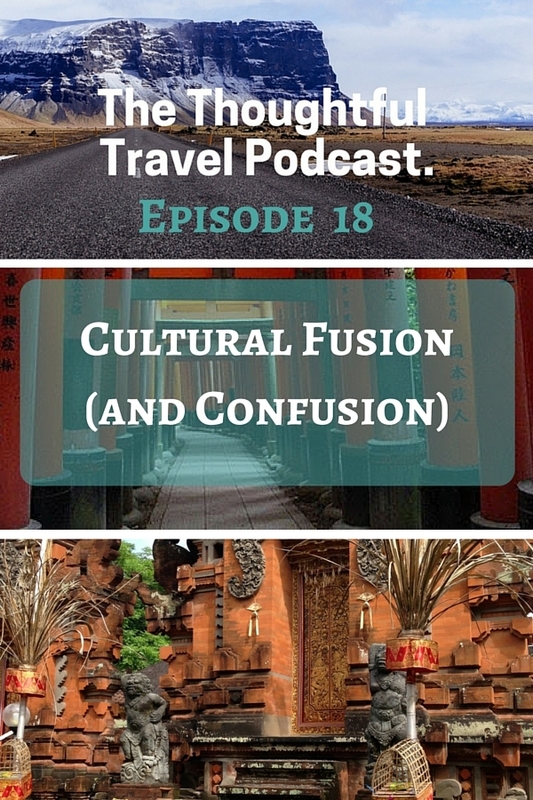 Discovering new cultural norms and comparing them to our own is one of the most fascinating parts of travel for me and the three guests on Episode 18 of The Thoughtful Travel Podcast have all given this issue a great deal of thought as well. First up, Annalicia Lynn describes the cultural confusion she felt when she first moved to Taiwan to speak English. The assumptions she made about the culture based on her own experiences back in the States led her to some uncomfortable moments in her early days in Taiwan. Jeff Sandquist talks to me about cultural fusion and his experience of the Scandinavian heritage he grew up with in Minnesota, and what he found when he visited Norway and saw Scandinavian culture up close. In another case of cultural confusion, Glenn Shiell describes the issues facing the Japanese ski resort of Niseko with the growing numbers of Australians coming to ski during the Australian summer – and what happens when these Aussies don’t necessarily show quite enough cultural sensitivity. My thoughts on Bali – Should experienced travellers go to Bali?